Consignment stores are a great place to visit if you’re looking for that one-of-a-kind item that you can’t find anywhere else. 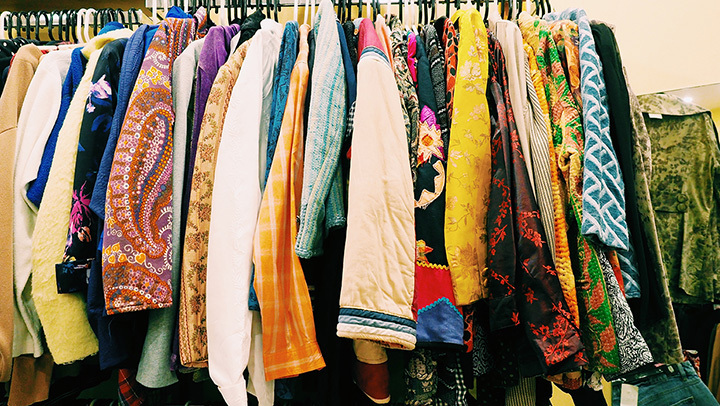 Besides offering gently used clothing and other things at a fraction of their original cost, you can find designer, name brand, and vintage items that won’t break your budget. For clothing, shoes, jewelry, and much more, check out the 10 best consignment shops in West Virginia! You never know what special treasures you’ll find at Consigning Women, a bargain boutique store located in Cross Lanes, West Virginia. Clean and well organized, this shop has great prices and friendly people who will help you find what you’re looking for. Teachers get additional discounts on their purchases, and they have sections for women’s petite, plus-size, teens, children’s, and babies. Open Monday through Saturday at 10 a.m.. The Family Closet in Hamlin, West Virginia, loves to help people find deals. With a focus on customer service and satisfaction, this consignment shop has racks and racks of clean used clothing, coats, shoes, toys, and other items at reasonable prices. Consignment items are displayed for 90 days and the consignor receives 50 percent of the marked price per item. For buyers, the more you buy, the more you save if you sign up for the discount card. Check their website and Facebook page for information on the special monthly drawing where you can win a $50 gift card to use in the store. With items from more than 300 consignors at your fingertips, you’ll be in discount heaven at Just 4 Kids Consignment & Boutique. Located in Charleston, West Virginia, there are great deals to be had and new items all the time for babies, toddlers, youth, teens, young men and women, maternity, and more. Besides gently used clothing, you’ll find shoes, toys, baby equipment, and other surprises when you stop by Tuesday through Saturday. Great deals and great prices. Looking for something special but don’t have a lot of money? Stop by Good Life Consignment in Beckley, West Virginia, and start the good life finding great merchandise at prices you can afford. You’ll find a large selection of clothing, furniture, antiques, jewelry, and other items at discount prices. Open every day except Sunday. Secondhand doesn’t have to mean poor quality. In fact, at White Oaks Consignment in Augusta, West Virginia, you can find clean, gently used merchandise at a fraction of the original cost. With a large display area and organized shelves full of style, elegance, and fashion just waiting for you to discover, this store has been serving customers since 2009. Brand name fashions at reasonable pricing. That’s the mission of Looking Glass Consignment in Clarksburg, West Virginia. Known for having the best prices and selection for up-scale and name brand women’s clothing, you’ll look good for less when you shop here. Locally owned and operated, discount shopping can’t get any easier. Motivated by the desire to cloth their own families, owners Shell and Beth Hoskinson understand how challenging it can be to find gently used clothing of quality. They go out of their way to make your shopping experience a good one. Stop by Monday through Saturday to find your special deals. Selling a great selection of gently used clothing, you can even find new items that still have tags at Dianna’s Closet. Located in Kingwood, West Virginia, this unassuming consignment shop sells more than clothing. Bargain hunters can also find ways to expand their own closet by purchasing items here upon selection or by using the convenient layaway plan. Dianna’s Closet has been open since 2001 providing an alternative to expensive retail stores so you can look your best for less. When you stop by Retro-tique in Morgantown, West Virginia, be prepared for a great surprise and a wonderful shopping experience. Known for not being your average consignment shop, this little secondhand boutique is eccentric and eclectic in the items found on their racks and shelves. With a focus on hard-to-find vintage items from eras gone by that are still in good shape, items found here are not give aways, but still have purpose and use. Open every day. The verdict is in! VC Wares in Wheeling, West Virginia is the most popular vintage home décor shop in Wheeling, West Virginia. This amazing little consignment shop is anything but ordinary. From the moment you walk in to the cozy little cottage, you won’t find the overcrowded mind-bending clutter than you do in some secondhand stores. You’ll find simplicity, style, and great prices on vintage items for your home, unique jewelry, and other one-of-a-kind treasures. Open since 2014, VC Wares is open every day but Sunday to help you bring style and elegance to your home and family at reasonable prices.